Australian Obstetricians and Gynaecologists using SurgicalPerformance can now be even more confident that sensitive information about their patients’ health outcomes is safely stored, because this month the Commonwealth granted Qualified Privilege to SurgicalPerformance.com; meaning courts cannot subpoena information stored in its databases. The government is aware that health care is complex. Effective quality assurance activities are imperative in maintaining the highest quality heath care standards. Reflecting upon the clinical outcomes of the treatment of our patients is one critical activity to guarantee that those standards are maintained. We can’t improve what we don’t measure. Do you know whether your complication rates are within the expected range? From time to time doctors like us are obliged to check clinical indicators, such as return to the operating theatre, intraoperative injuries, transfusion of red cells, etc. As long as we offer surgical services, surgical complications will develop, but we want to ensure that the incidence of our unwanted clinical outcomes (complications) is within the expected range. If my complication rates lie outside of what is expected, I want to know about it. I also want to know if my complication rates are within the expected range. Professor Gerald Hickson from Vanderbilt University in Nashville reported that the majority of medical doctors who were outliers in regards to their clinical outcomes, had no idea that they were outliers. Once he could demonstrate to them that they were outliers, 75% put in a lot of effort to correct themselves. Only a minority was unwilling to autocorrect; they moved interstate or retired. Most surgeons would agree that information on unwanted clinical outcomes is sensitive. The majority of colleagues find open disclosure of unwanted clinical outcomes embarrassing and threatening because this information can potentially be used against them. This is especially important in times when complaints brought forward by our own colleagues are rapidly increasing. As a gynaecological surgeon I have a big interest how I am doing and how I compare with my peers. Leaving this data with the college, the government or my hospital exposes me to the risk of this data being abused. Abuse of that data (e.g. a politically powerful colleague who dislikes me; or a hospital administrator who is concerned about bad press) can seriously threaten your career. Increasingly I hear of cases where O&G specialists come under pressure for those reasons. On the other hand, I am very interested in this data for my own personal learning and development. But how can I collect this data in a proper way, compare myself with other surgeons and make sure this data isn’t used against me by governing bodies? The government recognises that open disclosure does not necessarily mean disclosing information to others. 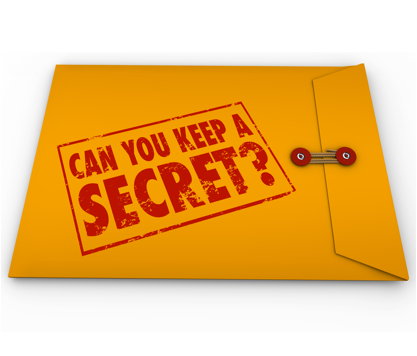 Open disclosure can also mean disclosing information to you. In this radical step the government does not need to know your outcomes. The government simply encourages you to reflect and review on the outcomes of your patients in a systematic and confidential way. The Commonwealth Qualified Privilege Scheme under Part VC of the Health Insurance Act 1973 is designed to remove fears that your data can be abused and encourages you and other health care professionals to participate in quality assurance activities. Qualified Privilege guarantees confidentiality of sensitive health information that is the result of reflective medical practice and encourages full participation of medical doctors to use SurgicalPerformance. Qualified Privilege allows doctors to review their outcomes in SurgicalPerformance without the fear that this data can be used against us. Effectively, it means lawyers cannot get hold of your data, even if they know you use SurgicalPerformance, and courts cannot subpoena information that is recorded in the SurgicalPerformance databases. As a user of SurgicalPerformance, if you are asked; “Doctor, what is your return-to-theatre rate?”, you may disclose this information if you wish – but you don’t have to. No legal avenues will be able to release this sensitive information. From now on, data that our users enter into SurgicalPerformance is protected by the Commonwealth’s Qualified Privilege Program. Every user of SurgicalPerformance is now fully protected to enter information honestly, because it cannot be used against them. The protection through Qualified Privilege relates only to SurgicalPerformance audit. Qualified Privilege does not automatically protect other Quality Assurance activities that users of SurgicalPerformance may engage with. I would be interested to also hear your thoughts on how important you believe Qualified Privilege is for improving clinical outcomes in healthcare.